This flavorful fish marinade is perfection in not only how it tastes but also in how it works with the fish. The low acid level of the combination of ingredients will not cook the fish before it hits the grill so fish can sit in the marinade longer and take on more flavor. The combination of soy sauce and brown sugar gives it a teriyaki flavor and aids in caramelizing the surface of the fish. Combine all ingredients in a glass container. Ideally, this marinade should be made a few days in advance to allow the flavors to marry. To use, place fish of choice in a resealable plastic bag and pour enough marinade over so it covers all of the flesh. Seal bag and marinate for 30 to 60 minutes. With this marinade, you want to choose a meaty fish that can handle strongly flavored ingredients such as soy sauce, garlic, and brown sugar. Delicate fillets such as sole or flounder would not work as their mild taste and tender flesh would become overwhelmed by the marinade. Don't forget about swordfish and mahi-mahi as well. Basically, any thick fleshed fish that will become enhanced by this marinade is a good choice. This recipe would also be delicious as a marinade for grilled chicken. 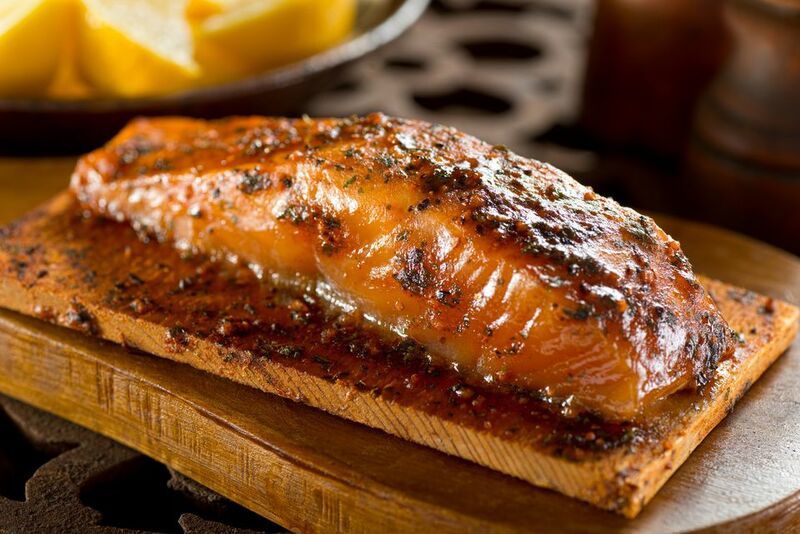 Although many types of fish are wonderful with just a coating of oil before being cooked, a marinade is a great way to add flavor, keep the fish moist, and prevent it from sticking to the grill. However, whereas beef, especially tough cuts, benefit from long marinating times (often overnight), fish is a different story. Fish is naturally tender and therefore doesn't need a liquid to break down any fibers and tenderize the flesh. In addition, it does not take very long for the flavors of the marinade to infuse the fish; the firmest fish steaks need to sit in the mixture 1 to 2 hours while most other types of fish only require 30 minutes. But be careful—marinating the fish too long can have a negative effect on the finished dish. If there is a high amount of acid in the marinade, such as citrus juice or vinegar, the acid can actually begin to cook the fish, rendering it dry and overdone once cooked.